Let the mind and body unwind gently with our deeply relaxing massages. 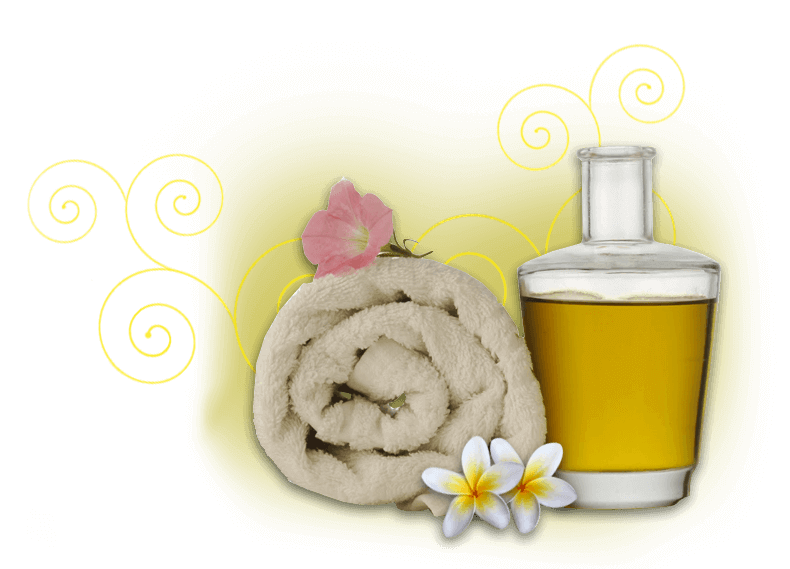 Using only the purest oils and highly refined techniques to knead and stroke your body's soft tissues, calms and soothes the nervous system, causing muscles to relax and tension to drain away. Feel revitalized from head to toe. 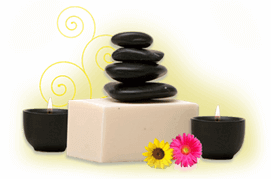 This traditional massage employs vigorous muscle work. Our therapist combines long, flowing strokes & techniques to alleviate muscle soreness and stimulate circulation. Chocolate's high caffeine content stimulates your circulation, allowing your blood to naturally rejuvenate and heal your skin, Antioxidants also give your skin a plumper, firmer feel and help your cells build collagen and elastin The natural oils found in cocoa butter are usually combined with other traditional massage oils, like safflower and olive oils, which work into your skin to give it deep moisture. This exotic treatment involves medium to high strokes accompanied by heated basalt volcanic stones. The oiled stones glide along your tired, sore muscles, reinvigorating and rejuvenating your mind as well as your body. Marma Points (Chakras) Balancing Back, neck and shoulder are massaged with Hot Stones to release muscular tension and balance the spirit. This massage focuses on realigning deeper layers of the muscles, organs and connective tissue. Your therapist will use slower, stronger strokes and techniques that will penetrate deep into muscles and tissue. It is especially helpful for chronically tensed and contracted areas such as stiff neck, back tightness, sore shoulder and tender pain. Blood and lymph circulation is increased and toxins are removed from the tissue. Feel the benefits of the perfect stress buster. Complete back of body massage using a blend of cooling gel and warming strokes and movement to provide utmost relaxation. To complete the experience we finish off with our customized facial to hydrate and nourish your skin. This gentle and rhythmic specialized massage is a blend of body stretch and body massage using our Signature Oil on the medians of the body that will invigorate your senses. Joints and muscles are stretched to release any blocked pathways or negative energy. The deep rolling and stretching movements used during this massage will rejuvenate your spirit, mind & body. This therapy is performed on the feet and lower legs, putting pressure on the reflex points to open up the sense energy lines. Frequency in pressure is increased in it to add to the potency of this treatment helping to reduce stiffness and improve flexibility, as well as stimulating circulation to increase immunity and aid detoxification. It also helps boost general health and well being promoting deep relaxation, improving sleep, and is extremely beneficial for stress relief. The perfect remedy for sore muscles, a mix of techniques which help release trigger points and work on deeper layers of the muscle which help ease away the tension. Ideal for active individual. Sports therapy helps drain out toxins and improve circulation.